Chirag Shah, a young technocrat who has rapidly scaled peaks of technological achievements by constantly striving to serve clients beyond their expectations. Chirag’s company, SUBHTECH SOLUTIONS INC., focuses on adopting innovative approaches to clients’ needs. Whether it is an advanced technology integration, implementation, customization in ERP, CRM, Cloud and mobile solutions, it prioritizes innovation. Under Chirag’s proactive guidance the firm empowers clients by assisting them with detailed business and technical knowledge and research. 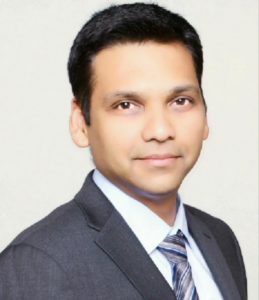 In addition to his IT venture, Chirag is also actively involved in advising high net worth individuals and businesses in Canada and India through his boutique consulting and advisory service VAYAM MANTU ADVISORS INC. In a relatively short span, the firm has built an awesome reputation of providing knowledge-driven advice that leads to the clients reaping a bonanza of rewards. A first-generation immigrant to Canada, Chirag has worked assiduously over the last decade-and-a-half to integrate himself and his business ventures into the Canadian mainstream. A firm believer in giving back to the Canadian society, and to the Indo-Canadian community, Chirag strives to work towards positive transformation for a number of not-for-profit organizations such as the Indo-Canada Chamber of Commerce and of the Canada India Foundation. For his dedication and hard work, he was awarded the “Member of the Year Award 2018”, and the “Outstanding Volunteer Award, 2016-2017” by the Indo-Canada Chamber of Commerce. Chirag has raised funds for Milton District Hospital Foundation, Vaishno Devi temple – Oakville and other charities. He is actively involved with Gujarat Public Affairs Council of Canada, Milton Gujarati Parivaar, and Canada India Association. Chirag lives in Milton with his wife Sejal and daughter Diya. He has worked with top-of-the-line entities such as Microsoft, IBM, Deloitte, Omnicom, Fountain Tire, Canadian General Tower, Clearly, Iovate among others.